The county’s top water official clarified what he called a “misconception” in the murky debate over the connection between East Maui waters and the debated HB1326 in the state Legislature, which would extend revocable water permits for Mahi Pono, the company that recently acquired 41,000 acres of Alexander & Baldwin’s farmland. Last year, the state issued a landmark decision to restore 17 East Maui streams to full or near-full capacity. In June, interim stream flow standards were set to protect area farming, cultural practices and habitat. It was a hard fought, nearly two decadeslong battle that pitted Native Hawaiian taro farmers and cultural practitioners against A&B and its stream diversions for agriculture ventures. 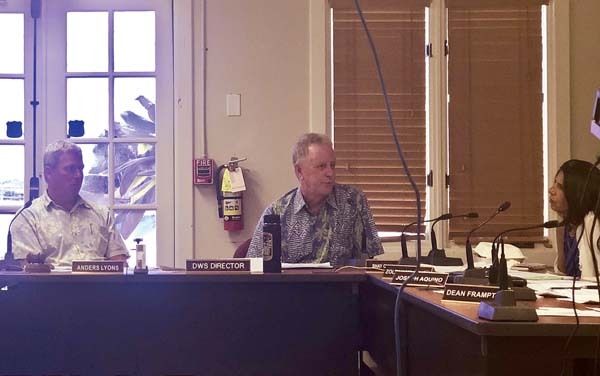 Mahi Pono, which is seeking the passage of HB1326, saying it is vital to farming operations, also acquired A&B’s 15,000 acres of watershed and half of East Maui Irrigation.